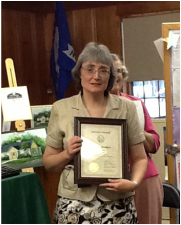 Chesley Memorial Library proudly honored one of our own recently. 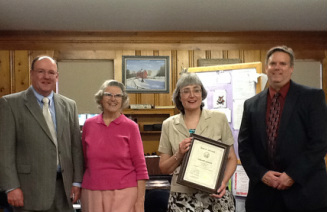 Donna Bunker, CML's Director has dedicated 25 years of service to Chesley Memorial Library and it's town's people. She has directed the Library's growth since coming on board in 1987 when it was half the size it is today. Under her guidance the library services have been greatly expanded. Today you can come to your local library to get books to read of all genre, participate in library related activities, sit at 1 of 4 computers to search the Web or write your next novel, borrow movies on DVD, download e-books or get assistance in researching town history. The Open House was a huge success. It seemed like the entire town came out to celebrate with Donna. Well wishers of every age were present. Thank you all of you for making this event one that she'll long remember!